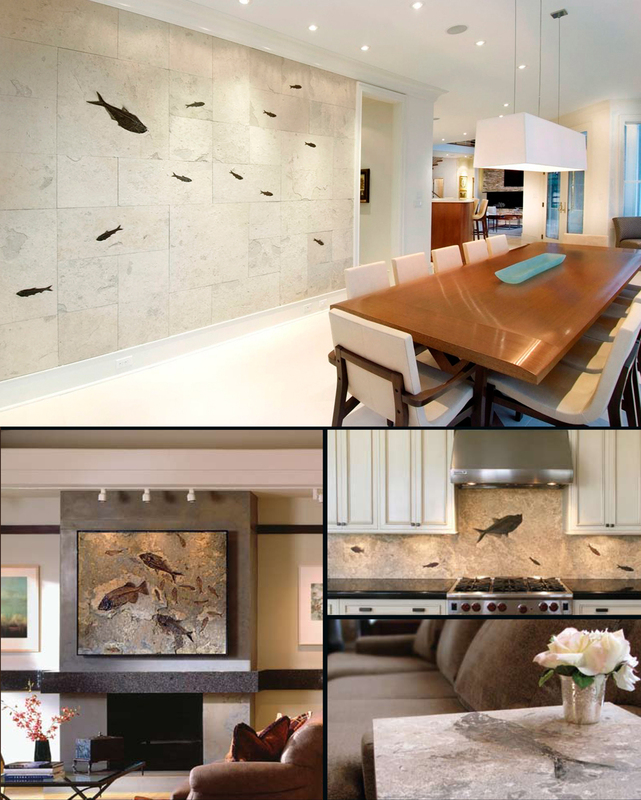 These timeless works of art and design are made using 50 million year old fossil rich limestone. The stone is unearthed in their private quarry in Southwestern Wyoming. Professionally prepared, each natural stone fossil is a snapshot in time as well as a timeless piece of art, including palm fronds, crocodiles, turtles and a variety of fish and plant life.